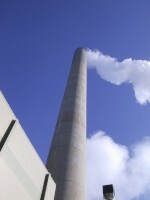 Burning coal for energy production contributes mercury to the atmosphere. 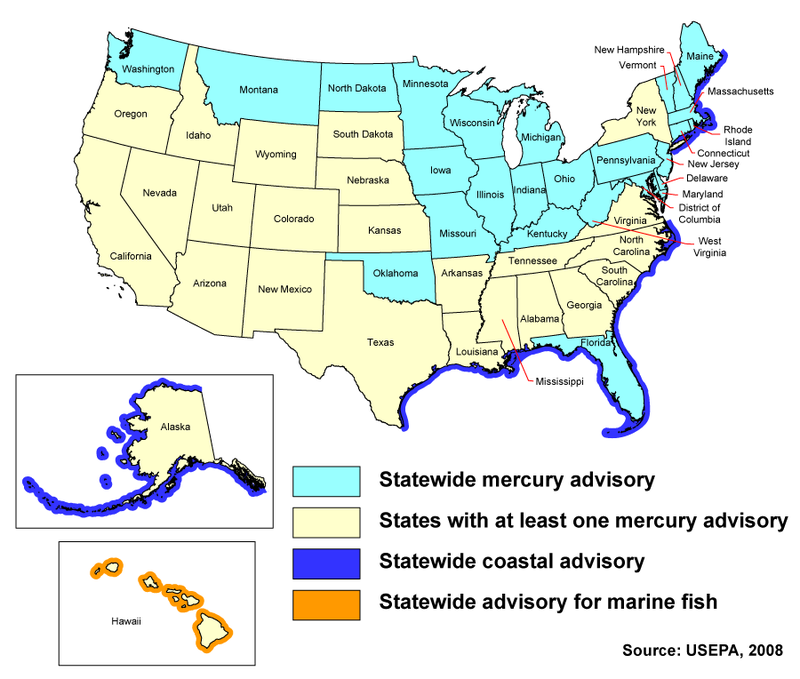 Recent findings from a consortium of university, State, and USGS scientists indicate that declining atmospheric concentrations of mercury can be explained by the phaseout of mercury in many commercial products and by reduced emissions from utilities over the past two decades. 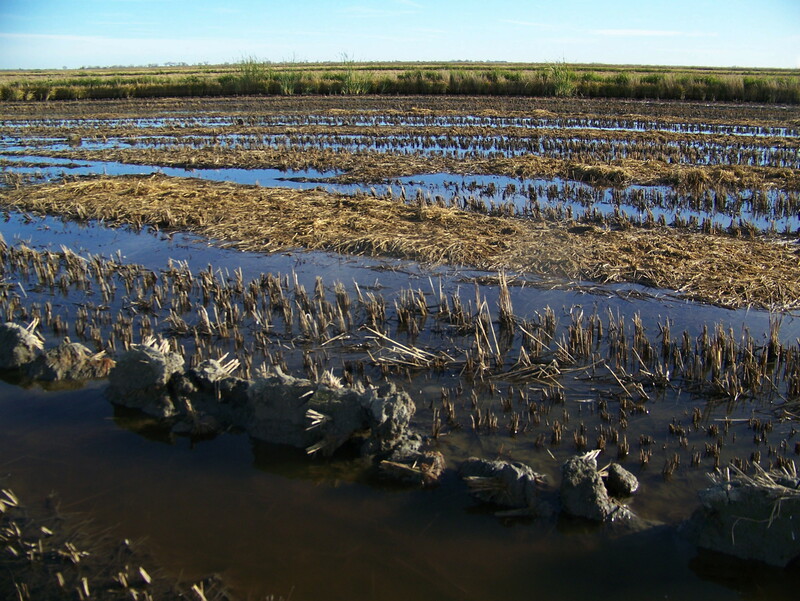 Photo Credit: David P .Krabbenhoft, USGS. 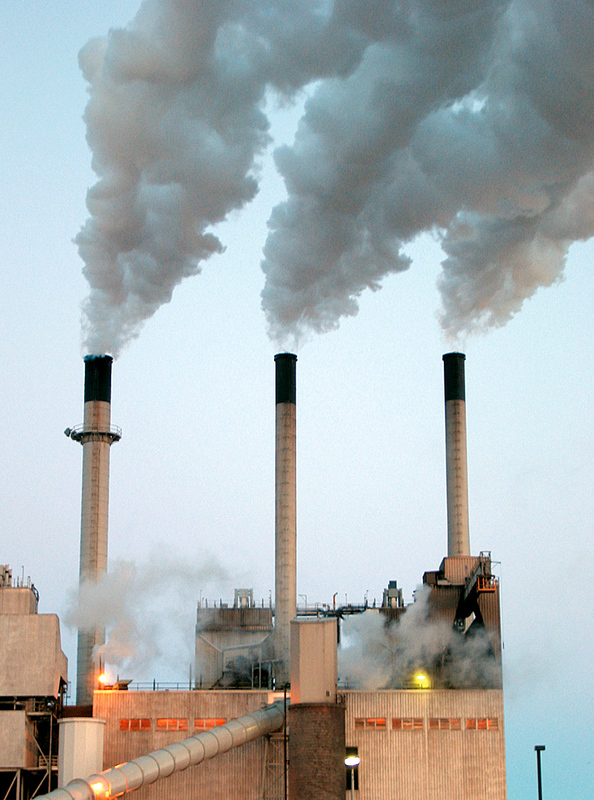 Burning coal for energy production contributes large amounts of mercury to the atmosphere. 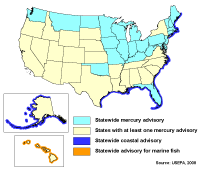 A USGS report, Mercury in the Nation's Streams—Levels, Trends, and Implications, presents a comprehensive assessment of mercury contamination in streams across the United States. Photo Credit: Phillip J. Redman, USGS. 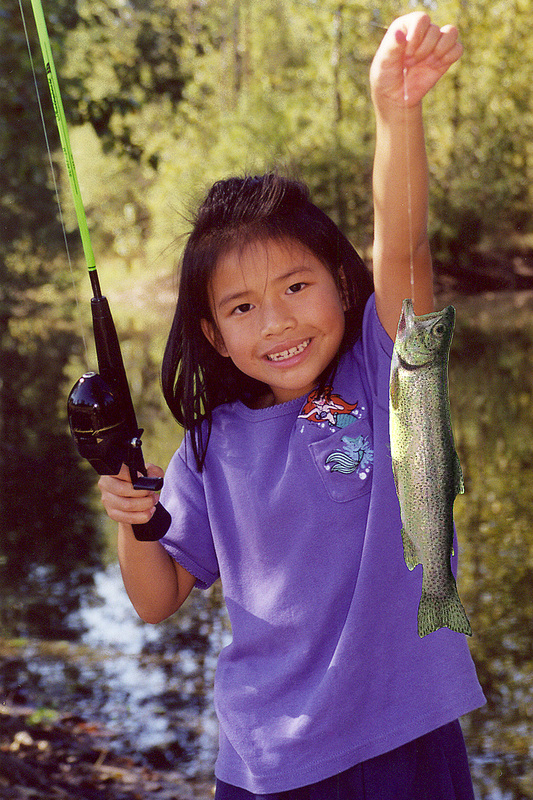 Eating fish is a source of mercury exposure for many people in the United States. 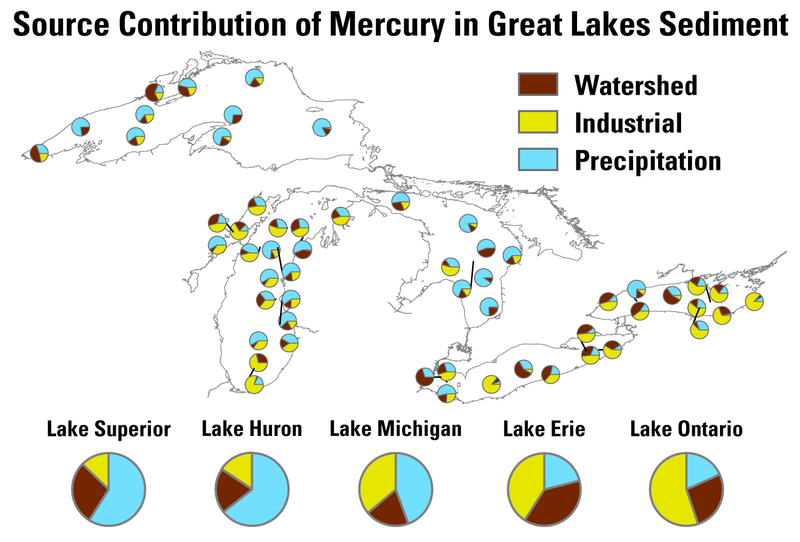 A report from the USGS summarizes selected stream studies on mercury conducted by the USGS since the late 1990s, while also drawing on scientific literature and datasets from other sources. 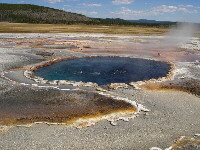 Photo Credit: Dennis A. Wentz, USGS. USGS scientists have detected naturally occurring methylmercury in many of the Yellowstone National Park's hot springs, such as Mound Spring, Sentinel Meadows, Wyoming. 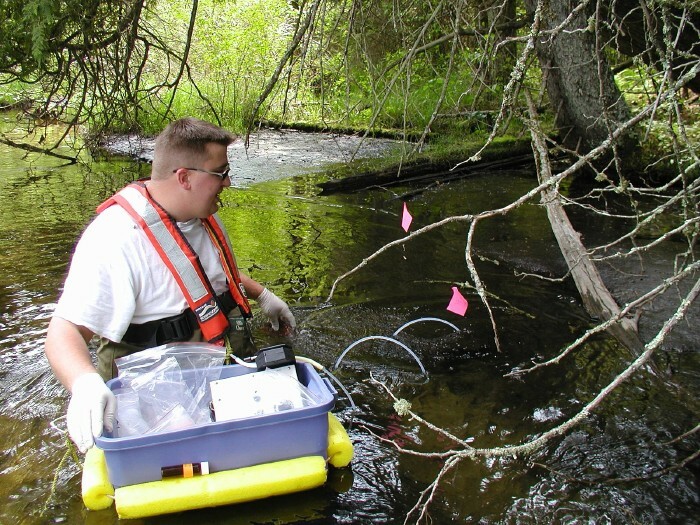 USGS scientist collecting samples of aquatic species from the Pike River, Wisconsin, for later analysis of mercury contamination. The location of the maximum methylmercury concentration at depth in the Pacific Ocean was the first evidence noted by the researchers pointing to the new methylation cycle. The graphic shows sampling depth on the left (in meters), and oxygen concentration on the right (in micromoles per kilogram of seawater [µmol/kg]) along a north-south latitudinal transect in the eastern North Pacific Ocean. The specific depth of maximal methylmercury concentration was consistently found at the ocean depth where the most rapid loss of oxygen was also observed. 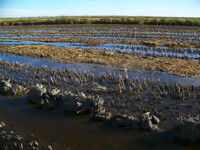 The process linking these two observations is microbial decomposition of "ocean rain", which is settling algae produced near the surface of the ocean. 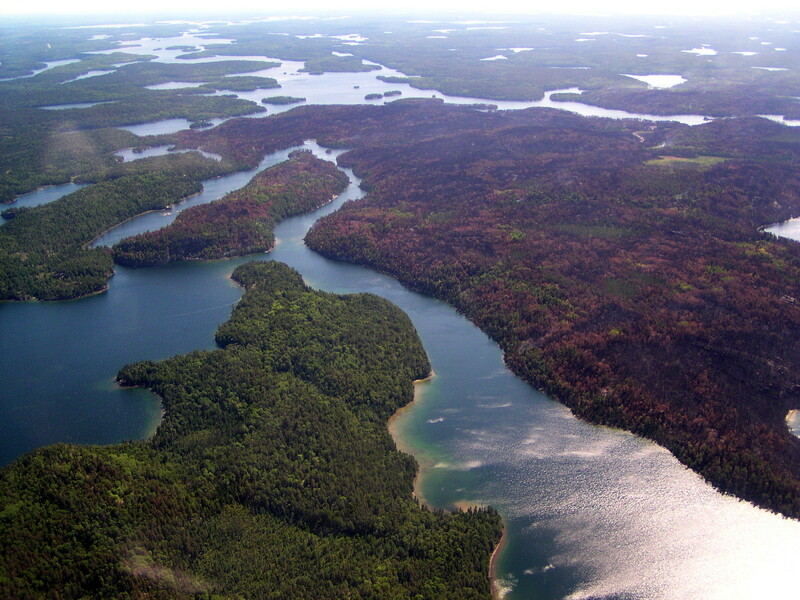 The decomposition process consumes oxygen from the water, but also leads to unintended methylmercury production. 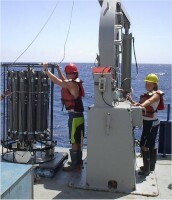 Scientists prepare to lower a rosette of 12 Niskin bottles on the vessel R/V Thomas G. Thompson. The device enables the collection of samples in the ocean via remote triggering of each bottle at different depths. Extreme care was taken to ensure that the rosette does not contaminate the samples. Photo courtesy of William Landing, Florida State University. 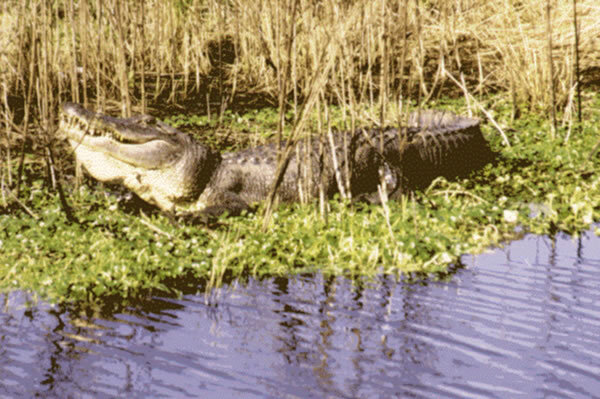 Does mercury affect aquatic life in the Florida Everglades?. USGS scientists are studying the fate and transport of mercury to find the answer to the question. 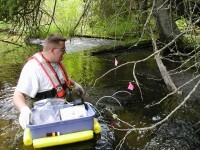 USGS scientists using ultra-clean techniques to collect water samples for the analysis of trace levels of mercury and methylmercury. 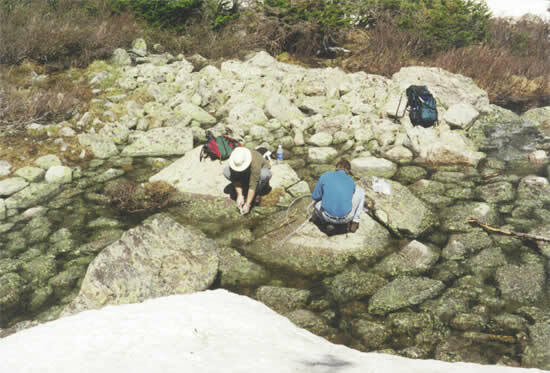 USGS scientists collecting water samples for analysis of mercury in high altitude (approximately 10,000 feet) lakes in the Rocky Mountains. 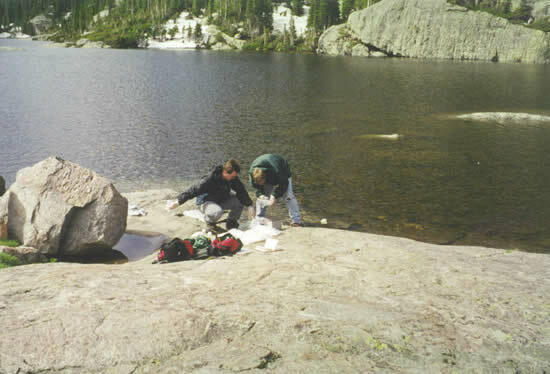 USGS scientists sampled lakes in the Rocky Mountains for mercury and methylmercury.